This month we are blessed with a rare & highly potent Libra Blue Moon, traditionally a symbol of the constant wheel of life; the birth-death-rebirth cycle. Ruled by Venus the planet of love, this second Libra Full Moon deepens our capacity to give & receive love, whilst encouraging transition, healing & rebalancing. This months Full Moon makes connections with Uranus, the planet of liberation & Pluto, the great transformer; the Blue Moon encourages us to take a bold act of “self-love” that acts as a catalyst for the evolution of “unconditional love”. 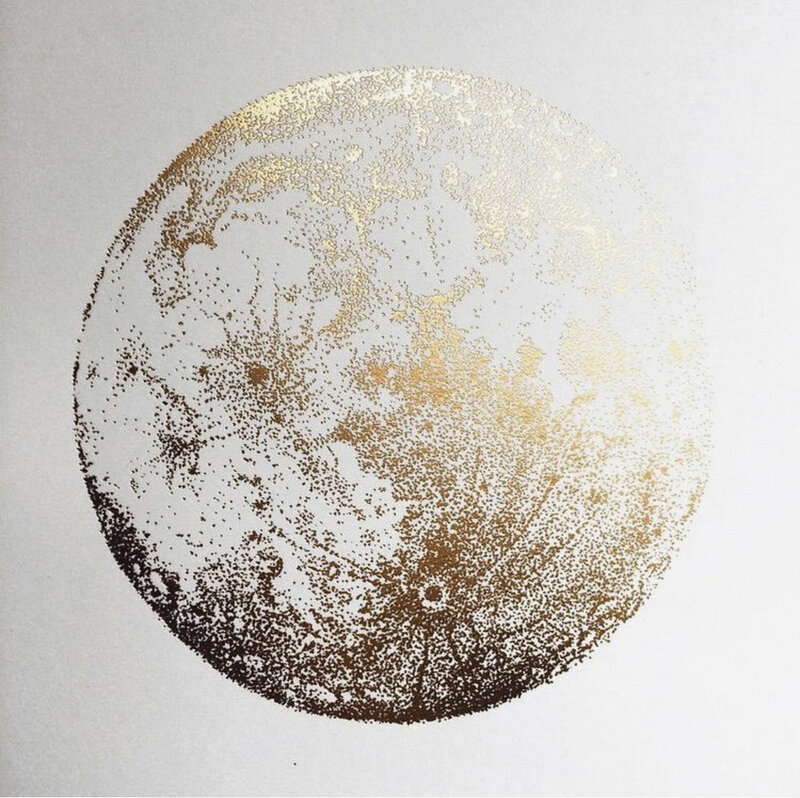 This celestial configuration points towards the need to harmonise the self. For this our heart must experience a profound & cathartic release of that which we once held dear, so that we may live in a state of love more fully. We see this theme mirrored in the word “Aperire” the Latin origin of the name April; meaning “to open”, symbolic of the budding & flowering of Northern Spring. When we open our heart wide, stagnant energy flows out, to make room for the fresh incoming abundant flow of nourishing, loving energy instead. For some the combined pulse of a Blue Moon with Uranus & Pluto might seem overwhelming, but it is indeed timely. The new dawn it offers is not only much welcomed by our subconscious, but is in fact a great blessing, as ultimately this Moon is ruled by the Goddess of Love & this month is a celebration of all things Venusian! Heralding a great sliding-door moment of the heart, this is also a time of auspicious new meetings & deeper transitions within exisiting relationships, both of which can change the course of our lives. 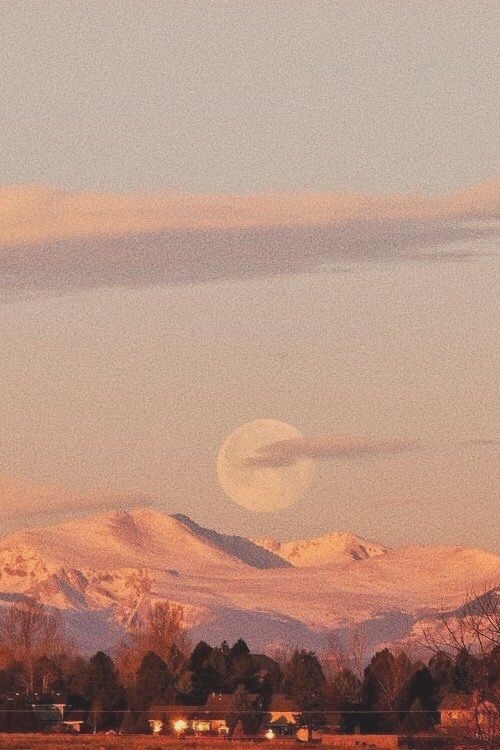 Whilst a release of the old is required, authentic connection is also encouraged under the beautiful moonbeams of Libra. This can be expressed through personal connections & through engaging in past times that we love. Venus ruled Libra, particularly loves the arts & luxury. So now is the time to get creative, feel inspired through visiting an art gallery & enjoy pampering yourself. Above all though, it’s the perfect moment to share time with friends & family who we deeply resonate with. An ideology spurred from the slow food movements in Italy in the 80’s and 90’s, slow living places an emphasis on taking a pause from the rapid and sometimes dizzying pace of urban life and instead taking a more reflective and methodical approach to living. It is purposeful and fulfilling, nourishing and savouring the moments instead of running off to the next. It’s about pacing, steadiness, consistency and considering the long-term surrounding yourself and nature. Slow living has its roots in living consciously, with intent and mindfulness — allowing yourself to live more deeply. There are no hard rules with slow living, it’s a freeform ideology that allows for us to take a breath and slow down; to appreciate where are now. It can be so hard, especially for us driven and goal chasing women, to let go from our busy schedules and really be present in the moment. To be able to comfortably pause between projects, errands and purchases to reflect on and enjoy what we experience in the clutches of the present. Slow living is about life. The living part, specifically. It’s about paying attention to it and spending time in the noticing. The holding of hands, the sunrises and unknowns. The love and the anger and the joy and the envy. I often find, whilst in the middle of three deadlines, that I’m stressing out now about a position I dreamt about 5 years ago. We so often get distracted by our new goals and ambitions that we forget to appreciate what we’ve already achieved. This doesn’t mean quitting all our projects or taking weeks off at a time, it’s just about considering a pace that allows us to work more deeply and with purpose. This is not a quick fix. I’ve been making changes for years and I’m not there yet. Because there is no there. This isn’t a race with a start and a finish line. This is slow, imperfect, intentional and evolving. Ketogenic diets have become a rapidly-growing nutritional tool to get back in control of your body, health and confidence. With so many different diets available on the market, Ketogenic living stands out as a versatile and holistic lifestyle choice. Rather than starving and filling you up with laxatives (looking at you diet teas) ketogenic foods allow for a wide variety of fresh and energising foods. This occurs when carbohydrates are restricted for a period of time (usually starting after two or three days), causing your body to increase its ketone levels. Ketones are three water-soluble molecules that are produced by the liver from fats. Intense periods of exercises can also help to create ketones. Once your body starts producing these fat-blasting molecules, you’re considered to be in a state of nutritional ketosis! If sustained your body will keep using fat as fuel and help promote healthier living and on-going healthy weight loss. feeling healthier, energised and balanced. Any change as big on the body as entering a state of nutritional ketosis can be difficult to do without the right guidance and support throughout the process. At MISS FOX we believe beauty and wellness is a holistic journey, and one which requires the careful learned knowledge of a professional practitioner. With this spirit in mind, we offer nutritional guidance and ongoing lifestyle support in the form of our Ultra Lite program. With Ultra Kite having its roots in transforming and empowering lives for the past 20+ years you’re truly in the hands of both a qualified practitioner and a huge support network. Whilst it’s effects are immediate (losing up to 10kg in 5 weeks) Ultra Lite is strongly grounded in providing you the right tools to keep the weight off. You’ll receive education about food groups, personal portion sizes and metabolism stimulation that make maintaining your goal weight even easier. To inspire your wellness journey we’re offering a $100 credit towards your 5 week Ultra Lite weight loss and detox program to help you achieve the healthiest and happiest version of you there is. We truly believe you are what you eat, it’s time to make those resolutions a reality! Call us for more information or to book in your consultation! Here at MISS FOX we understand that every face is unique. Like fingerprints, our own special signatures are woven into the tapestry of our visage and no two people have the exact same needs and because of this unique chemistry, we ensure all our facials are custom crafted to what your skin alone is seeking. All sessions require a holistic skin consultation with our incredible VISIA Skin Analysis system before being prescribed a tailored, clinical-strength facial treatment to actually create real change to the structure of your skin, whilst being completely non-invasive and comfortable from start to finish! 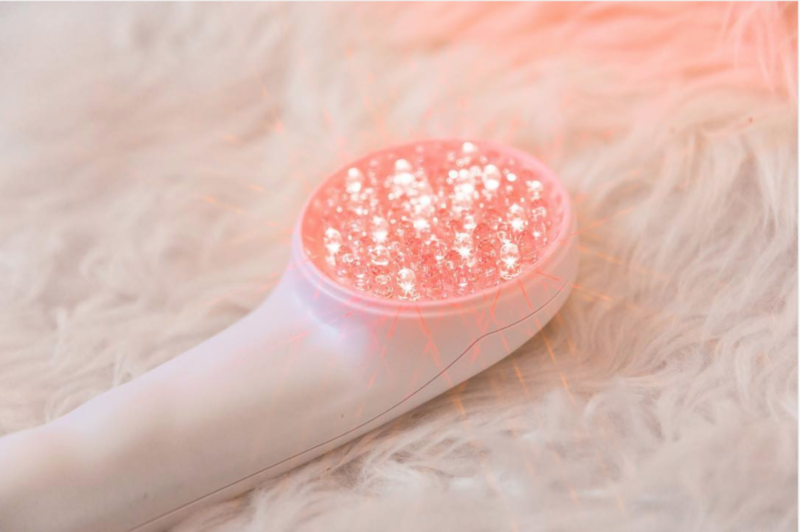 VISIA® is a medical aesthetic device that uses IntelliFlash®, cross-polarization and UV lighting to record and measure surface and subsurface skin conditions as well as determining true skin age, allowing your therapist to see under the mantle to the cause and scope of any concerns you may have. Our MISS FOX Skin Analysis takes a holistic approach to beautiful skin, taking into account medical history, lifestyle, diet, emotional wellbeing and gut health. From this, your therapist will discuss what you need, analyse your skin’s wellbeing and create a program to help you put your best face forward! Created according to your individual needs the Prescription Medifacial consist of a customised combination of botanically active ingredients, to cleanse, balance, gently exfoliate, repair, nourish and hydrate your skin, brightening the complexion and leaving you dewy-soft. Potent, colour-correcting and tightening masks with a personalised selection of highly effective actives will be utilised to hone in on what your skin specifically requires. The Medifacial should be repeated every 4 weeks for continued improvement. A course of at least 6 sessions are recommended. A quick and effective facial for those upcoming events, this facial is perfect for those wanting excellent results in minimum time! Using no nasties and 99% natural ingredients, our Osmosis clinical products are non-damaging, non-inflammatory and create the ideal environment to foster permanent change and overall radiance to skin and body. The best anti-aging ingredient we can offer our skin is Vitamin A and Osmosis utilise the most active, least irritating and non-acid form: Retinaldehyde. Our Osmosis Infusion blend contains potent 2.5% Retinaldehyde, 1,3 Beta Glucan, Niacinimide, Chorella Vulgaris and Willow Herb to infuse the dermis with fibroblast stimulators, immune boosters, antioxidants, pigment lighteners, and calming anti-inflammatory and anti-bacterial ingredients. A supercharged facial experience, our Infusion Medifacial takes your treatment to the next level. Perfect for those committed to creating lasting powerful improvement their visage without skipping any steps! The holy grail of facials. The incredible RevitaPen MediFacial provides immediate and long term results with a non-invasive device that gently creates micro-channels in the skin, allowing Osmosis high-dose active ingredients to be deeply absorbed for optimal skin restoration. It instantly softens fine lines and wrinkles, reduces pigmentation, lessens scarring, enhances collagen production, improves hydration, increase circulation, controls breakouts and works to firm and lift the face. Unlike microdermabrasion or skin needling, this non-inflammatory treatment is relaxing and rejuvenating without wounding the skin or causing unnecessary discomfort. The system is so gentle and safe that it can be used around the eyes and directly on the lips, and with a light mineral makeup application you can even go back to work afterwards! Days 0 to 2 - An instant reduction in fine lines and wrinkles, the skin will be tighter, firmer and plumper and for the following 48 hours, the skin will look radiant younger. During this time, you may experience redness and tingling. Days 3 to 5 - The skin may feel dry as the top most layer of epidermis experiences a gentle delayed micro peel, as a new layer of stratum corneum forms below. Days 5 to 7 - You may experience a tighter, more evenly skin toned and textured layer of stratum corneum come to the surface. (Note: many longer term improvements develop over time and after a series of the Revitapen Infusion Medifacials, especially when used in conjunction with home care products). Are you ready to jump into summer with glowy radiant skin? Book your facial and fall in love again this sunny season, with the most important person there is — you!